Last week the Rotary-sponsored Living Memories Group (LMG) met at The narberth Museum. 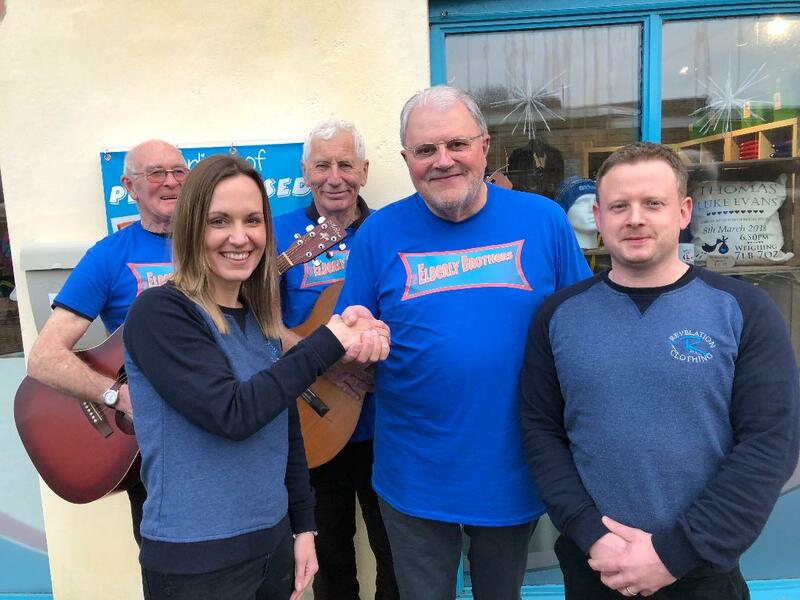 The attendees consist of Pembrokeshire people who may have suffered some life-limiting illness or may be enduring loneliness as a widow or widower. It is free to join in two sessions per month generally being the 2nd and 4th Thursday in each month meeting from 1.30 - 3.300pm. At the last session they were entertained by five minstrels who belong to the Whitland Male Voice Choir. These men were Rob Williams, Ed Burke, Dave Thomas, Phil Garrod and Huw Jones. They all have a common interest in playing the guitar and voluntarily provide free entertainment to the audience. Rotarian Huw Jones was instrumental in gathering the guitarists together for this very worthwhile community service. 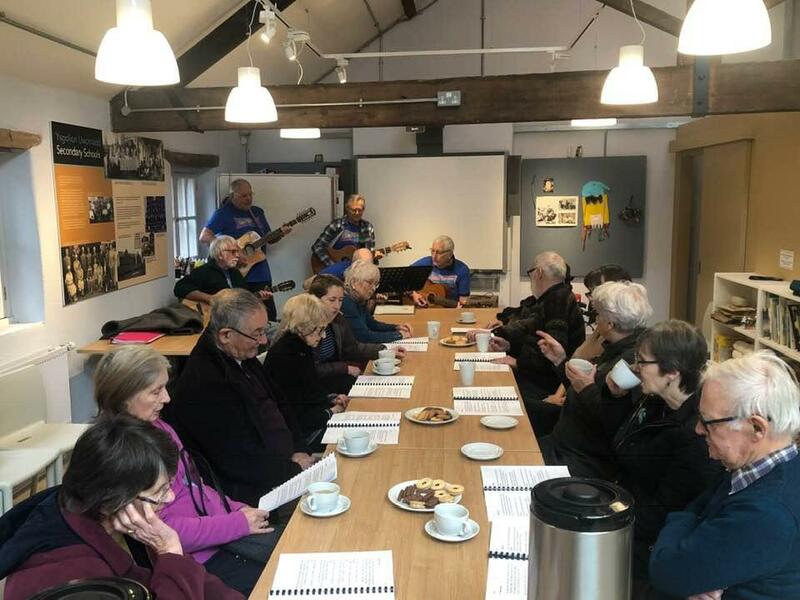 The Rotary Club of Narberth originally set up the LMG group to help people with Dementia but it has been inclusive to encourage other people who may be lacking company living on their own to come along and enjoy some good company. 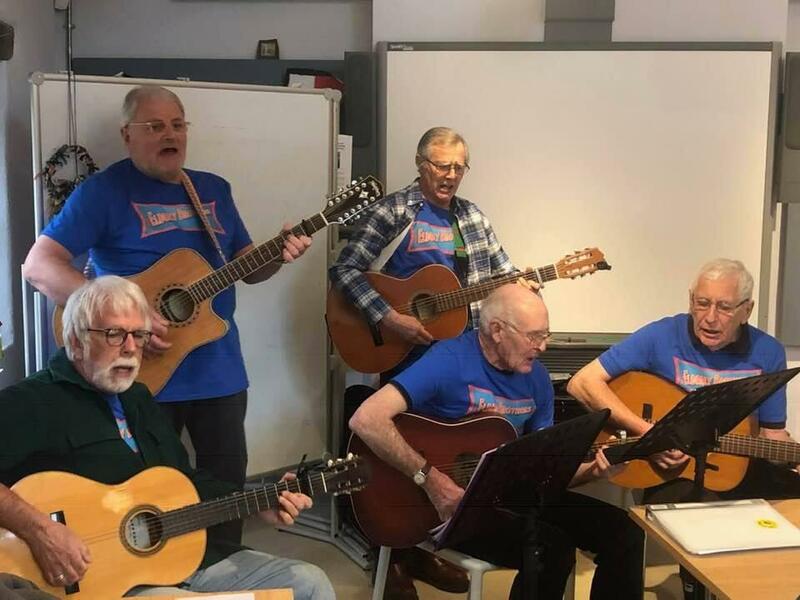 Rotarian Ian Gravell saw the musicians performing in 2018 and coined the idea that the guitarists were not the EVERLY BROS (of American fame) but they were the Pembrokeshire version and he called them "The Elderly Brothers". This title stuck and they have been performing charitable work ever since under this banner. Treasurer of the LMG, Mr John Llewellyn summed up by saying: "Thanks to the Elderly Brothers for today's music session at the first Living Memory Group event of 2019. They looked sharp in their new T-shirts". 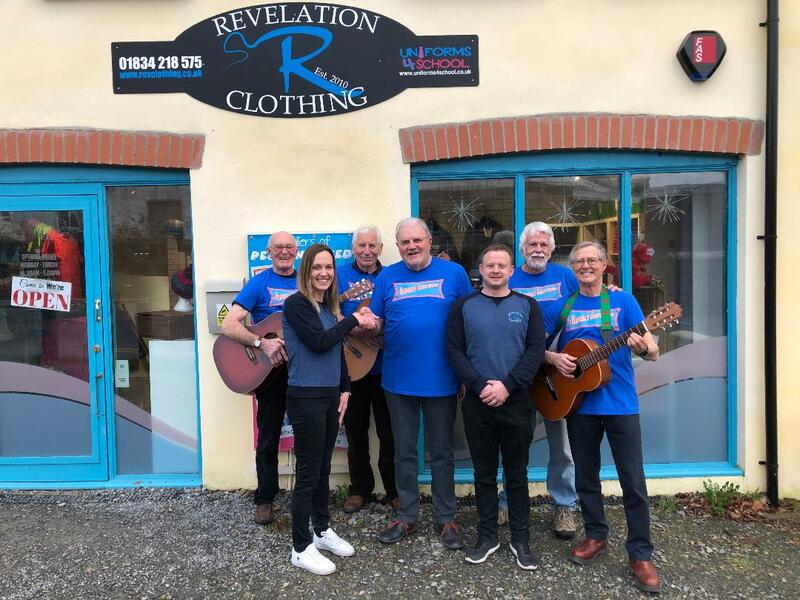 In fact the T-Shirts were a Christmas present sponsored by THE REVELATION CLOTHING COMPANY based in Narberth. Rotarian Ken Morgan had approached owners Sian and Sam, Bloxham to supply the blue T-Shirts. They very generously offered to sponsor the cost of the shirts when they learned of the charitable work done by Rotary and the LMG Clubs. To make the presentation even more professional past Rotarian Barry Smith of W3 Designs, website Designer in Whitland, agreed to design the logo which REVELATION printed with the Elderly Brothers branding. The Narberth & Whitland Rotary Club raised £228 recently in a bucket collection at a local rugby match to support the work of the LMG. Rotary President Toney Ensom commented that The Rotary Club is extremely grateful to the Committee of the Narberth RFC for allowing the bucket collection to take place which was very generously supported by the spectators. The Next LMG date for the diaries is Thursday 24th January at 13:30 where they will be entertained by the RotaKids at Narberth Junior School."